Got crabs? 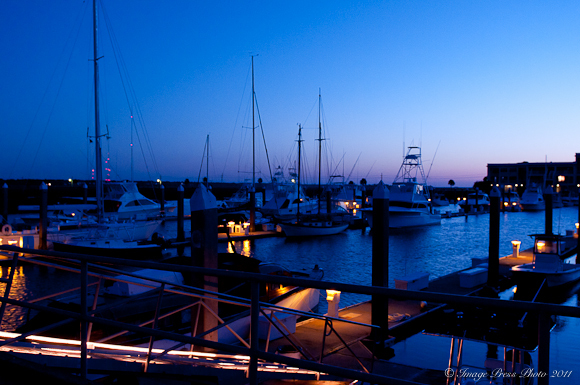 I hope not, however I can tell you who does…Kimberly of Kimberly’s Crabs in Charleston, South Carolina! She’s got all sorts of crabs as we discovered when we went crabbing with she and her husband Bobby a few weeks ago. 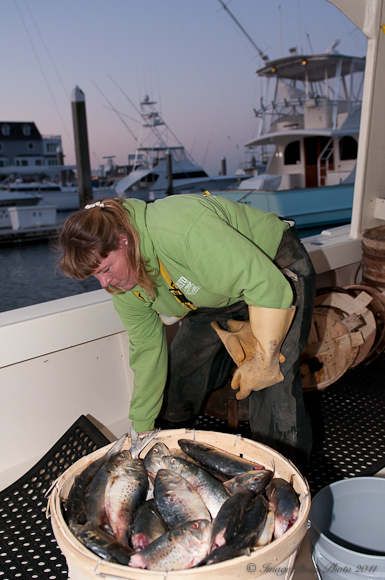 Kimberly is getting the bait ready for the day. One of my favorite dishes to order when we go out for dinner is crab cakes and Mr. B’s favorite is soft-shell crabs. Rather than go out for dinner, we decided to prepare these dishes at home. 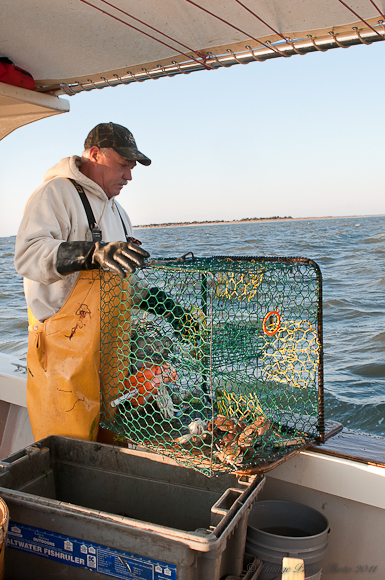 Since we are always in search of the best and freshest ingredients to use in our dishes, we traveled directly to the source – a crabber in Charleston, South Carolina! 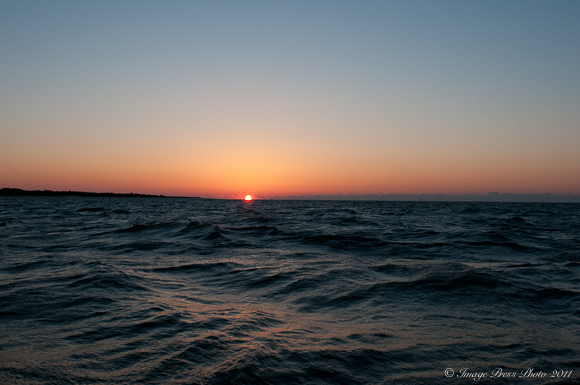 The day begins early on the water. 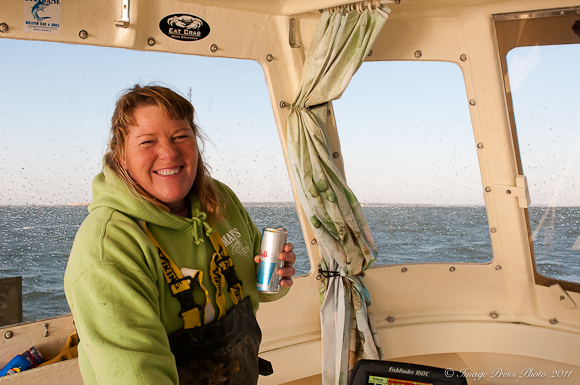 Kimberly is one of the very few female crabbers in South Carolina (there are three that we know of out of 360 commercial crabbers) and she has a very interesting life story. Kimberly’s Crabs also is the name that we heard over and over again from chefs in Charleston when we asked about local crabbers, so we were so excited that she agreed to take us crabbing. We later learned that Kimberly has never allowed a guest on her boat until we went with them. If you read Bunkycooks, you probably know that we are interested in finding out about the people and places behind our food and do all sorts of exciting things when we go On the Road. This boat ride was certainly one of those experiences. The pelicans are looking for hand outs! Who else gets up at 4 am (out of a really comfortable bed in a lovely hotel) to go crabbing in the freezing cold? Well, we did. Kimberly and Bobby get up at this hour nearly every morning of their lives for their business. This is how Kimberly stays awake. I wish I had one that morning! 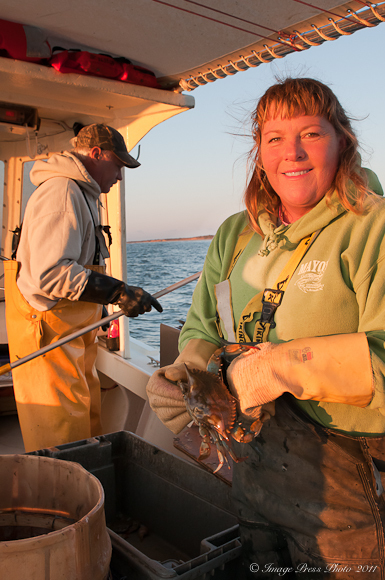 Kimberly has been crabbing for a total of eight years. Prior to crabbing, she and her former husband (who tragically passed away from pancreatic cancer several years ago) owned a fishing and retail business. She had this business for a total of eighteen years. We found some beautiful crabs the day we went crabbing. When her husband passed away, she was in danger of losing the business, so she contacted an old friend (now known as Captain Bobby) and asked him to come from Virginia to help her. Bobby has been a crabber for about thirty years. 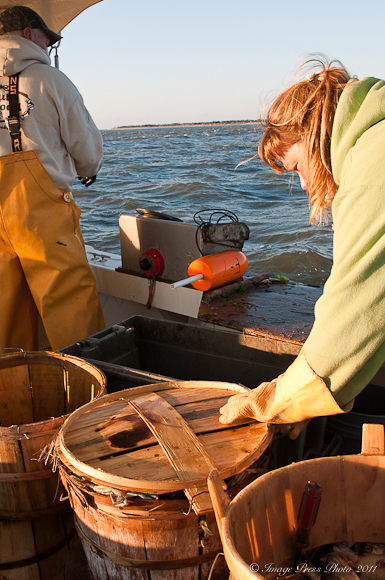 The business, now known as Kimberly’s Crabs, is strictly a crabbing business and it is thriving. She sells to high end restaurants and chefs, special venues and some local seafood markets. One of these containers is equal to a bushel. What an awesome experience, love the videos, those were really good. What a living she has, good for her. Love this crab cake recipe, sounds really good and I can’t wait to try with your mustard recipe too. Thanks for sharing, see you again real soon. What an adventure! Ouch, I knew that the claws of stone crabs are snapped off, but at least they are thrown back to grow more so we can have more delicious crab cakes! What kind of crab meat did you use for your crab cakes? On the west coast, Dungeness is very popular – and, like you, I like crab cakes that are mostly crabmeat, just a few seasonings and enough bread crumbs (or crackers) to bind them, the less other stuff the better! My favorite On the Road post thus far! What an adventure, and honor being invited to experience this remarkable business. I love stories of people who are doiing what they love, especially women! 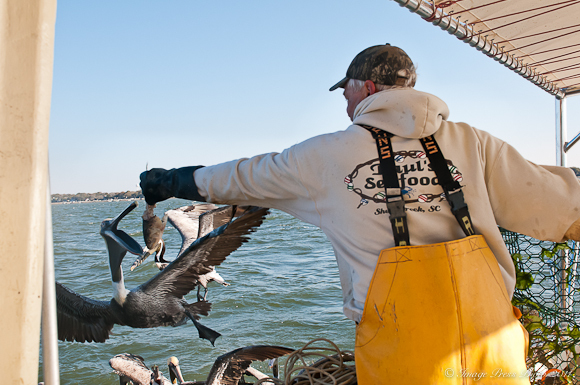 I’m a huge fan of soft-shell crabs, and crab cakes, but getting the crabs fresh off the crab boat is the way to go! what a fun trip, beside the early morning, lol Kimberly passions really shine through, she’s lovely..thank you for sharing this great post with us and your crab cakes look amazing!! Hi, I bet you have a fun trip. I wish I was there. Love the pics and the recipe. Thanks for sharing! Coincidentaly, My sisters, 4 of them will be heading to Charleston TODAY for our “sister’s trip, ” which we do each time one of us turns 50. I can not make it..but I sent the link!! What a great time we had on the boat, and so glad you came! the story was great and the photos were awesome. I took part in the 4th Chef’s Potluck Sunday at Middleton Place with the soft shell crabs. I was paired with FIG. We went through 225 soft shell sammies in about an hour! All the fair was “Locavore” and 10 restaurants and farms took part for Lowcountry Local First Event. Short Rib Ragu and a Special Announcement!